In recent years, research on dynamical systems in psychology has emerged, which is analogous to other fields such as biology and physics. One popular and promising line of research involves the modeling of psychological systems as causal systems or networks of cellular automat. The general hypothesis is that noticeable macroscopic behavior—the co-occurrence of aspects of psychology such as cognitive abilities, psychopathological symptoms, or behavior—is not due to the influence of unobserved common causes, such as general intelligence, psychopathological disorders, or personality traits, but rather to emergent behavior in a network of interacting psychological, sociological, biological, and other components. This dissertation concerns the estimation of such psychological networks from datasets. 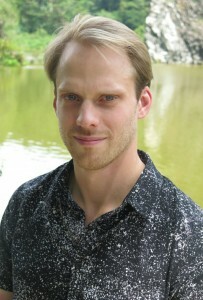 While this line of research originated from a dynamical systems perspective, the developed methods have shown strong utility as exploratory data analysis tools, highlighting unique variance between variables rather than shared variance across variables (e.g., factor analysis). In addition, this dissertation shows that network modeling and latent variable modeling are closely related and can complement one-another. The methods are thus widely applicable in diverse fields of psychological research. To this end, the dissertation is split in three parts. Part I is aimed at empirical researchers with an emphasis on clinical psychology, and introduces the methods in conceptual terms and tutorials. 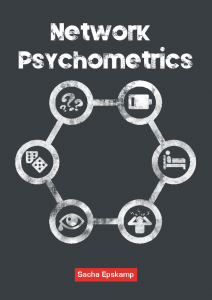 Part II is aimed at psychometricians and methodologists, and discusses the methods in technical terms. Finally, Part III is aimed at R users with an emphasis on personality research. Theoretical considerations and empirical evidence point towards a network perspective in which psychological constructs are conceptualized as networks of interacting components (e.g., for major depression: insomnia → fatigue → concentration problems) instead of measurements of a latent construct, as is hypothesized in traditional perspectives. 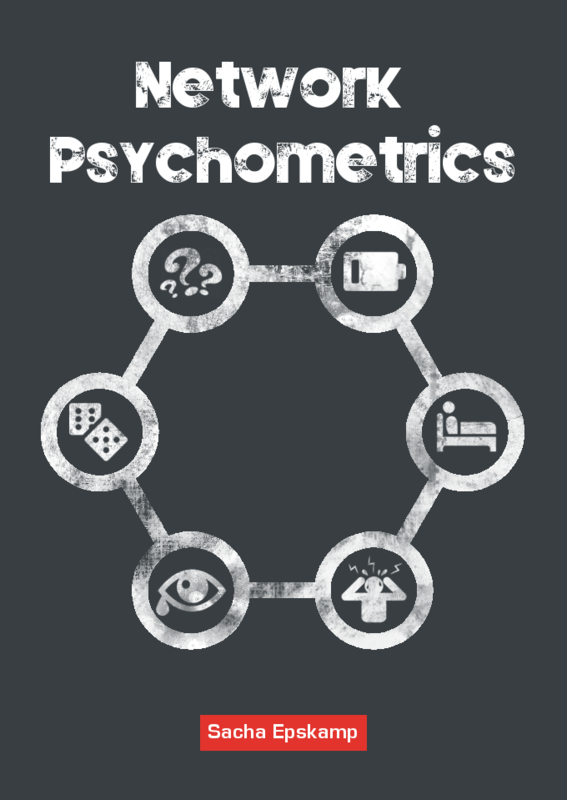 The proposed research develops a psychometric framework for analyzing such networks: 1) translating concepts from network analysis to the psychometric realm, and developing 2) procedures for estimating and fitting network models to data and 3) a new adaptive testing procedure. This work will be implemented in the R-package that the Ph.D candidate has already developed (Epskamp et al., 2011).